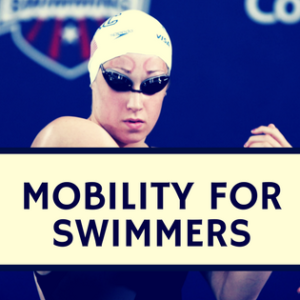 Below is an interview with Daniel Junker regarding Foam Rolling for Swimmers. Daniel is a physical therapist or physiotherapist and owns his own physical therapy practice in Austria. Here is the research study which this interview is based on. 1. 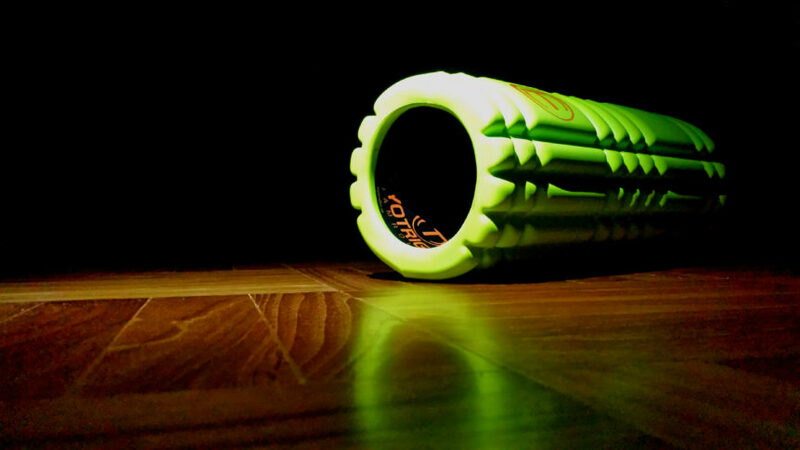 What are the main theories on how Foam Rolling and Self Myofascial Release (SMR) works? Results from different studies indicate that SMR using a Foam roll is effective in increasing ROM. The mechanisms of how SMR works have not been clearly elucidated until now. It is useful to distinguish between acute and long-term mechanisms. Foam rolling leads to an acute reduced arterial stiffness and an improved endothelial vascular function and arterial distensibility again is associated with a better flexibility. There is a loss of fascial water content after severe exercise which leads to a reduced flexibility. The pressure applied via Foam rolling is likely to rehydrate fascia and gain ROM again. Additionally, it is imaginable that in the long-term a better hydration is capable to prevent fascia of developing adhesions and restrictions. Within training mechanisms, (1) mechanical, (2) neurophysiologic and (3) sensation mechanisms are discussed. Firstly, the development of fascial adhesions is one reason of strain hardening and a decreased ROM. The use of a Foam roll is supposed to release this adhesions. It was shown that cyclical forces stimulate the production of an enzyme called collagenase which is responsible for remodelling the extracellular matrix. Secondly, the increase in ROM is explained through the stimulation of mechanoreceptors within the fascia. In this context, it is worth to mention that not the stimulation of Golgi receptors but the stimulation of Ruffini and Pacini receptors is probably the key factor for improving ROM. Especially Ruffini receptors which are connected with the autonomic nervous system are supposed to lead to a lower sympathicotonic state. For this reason the stimulation of mechanoreceptors is likely to relax not only local tissues, but also the whole body. Thirdly, an alteration in stretch tolerance could be a main factor explaining the increase in ROM. It was demonstrated that Foam rolling leads to an increase in pain pressure threshold allowing a greater ROM. 2. What does the research on Foam Rolling and SMR length (most research does 30 seconds, but what about longer)? I think 30 seconds is a good experience based benchmark for a Foam roll training. In research training protocols for Foam rolling differ from mostly 30 seconds to 60 seconds. Results from my own studies revealed no differences in increasing ROM between a 30 seconds and a 50 seconds protocol. Both 30 and 50 seconds of FR lead to a comparable improvement of flexibility in stand and reach test. From my point of view, an overall training time of 90 seconds – 120 seconds for each muscle group seems to be essential. It is recommendable to perform three sets of 30-40 seconds or two sets of 60 seconds for each muscle group. However, it is important to mention that there is a lack of evidence based practice concerning the optimal duration of Foam rolling. It is useful to focus this question in future research. 3. How about intensity, do you think more intense Foam Rolling and SMR would be more beneficial? I advise people to train with a “melting” pressure on their individual pain threshold. If Foam rolling causes too much pain it is likely that the athlete will get tensed up and no release occurs. Therefore, it is important to stimulate the fascia and its mechanoreceptors to receive a myofascial release without overdoing the intensity of Foam rolling. In my opinion it is more decisive to vary the pressure applied via Foam roll for an optimal stimulation of the mechanoreceptors, especially Ruffini and Pacini receptors. As mentioned above, the connection of Ruffini´s with the autonomous nervous system is supposed to lead not only to a local release but also to a relaxation of the whole body. 4. How should someone implement Foam Rolling and SMR for improving ROM? It is necessary to perform two to three training sessions per week consisting of 3 repetitions á 30-40 seconds for each muscle group to improve ROM. In contrast to static stretching, several studies identified no detrimental effects of Foam rolling on athletic performance. For this reason, you can use the Foam roll in a warm-up routine. Furthermore it is possible to carry out Foam rolling for cool-down or to perform separate Foam roll training sessions. I would implement Foam rolling immediately after a training session for cool-down. From research we know, that self-myofascial release with the Foam roll also reduces sensations of delayed onset of muscle soreness (DOMS). In this case we could kill two birds with one stone – (1) increase ROM and (2) reduce DOMS. 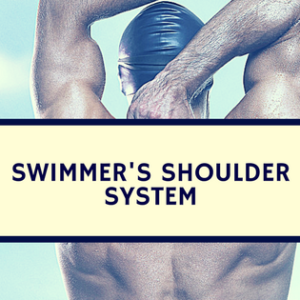 This enables us to organize an effective training plan for our athletes and to save time. 5. If someone wanted to improve their thoracic spine extension (a common issue in swimmers), what Foam Rolling and SMR routine should they do? From my point of view, it is beneficial to combine thoracic spine extensions drills with correct breathing patterns. First of all, I teach my athletes or patients to use a proper breathing technique with nasal breathing, diaphragm/rib movement and full exhalation. Very often I see athletes who are in chronical stressed sympathetic state and with it the muscle tone is increased. A proper breathing technique is an easy and fast possibility to relax your body. Secondly, I introduce them to some mobility drills with the Foam roll while using a proper breathing technique. Now you can use a Foam ball to find and treat myofascial trigger points which influence your thoracic spine extension (especially Pectoralis major and minor, paraspinal muscles). If you find a painful trigger point you had to remain on it until you fell a release (ischemic compression). The initial position is like in exercise one but you do not lift your hips and your hands are in the neck. Then you bend your spine backwards and use the FR as a pivot point. As a progression you can extend your arms and intensify the exercise. You should perform this on different points of your thoracic spine. Additionally, it is important to control your lumbar spine and hold it in a neutral position. Quadruped position, hands are on the FR. Then go back with your bottom to the heels, and roll forward with your hands until you extend your thoracic spine and stretch your pectoralis muscles. Your lumbar spine should stay in a neutral position. The training should be finished with breathing exercises. 6. What else do we need to research with Foam Rolling and SMR? Of course, a lot of issues concerning self-myofascial release with the Foam roll remain in question and have to be investigated in future. First, the mechanisms of actions have to be determined. Second, research has to be done to elucidate the optimal training duration as well as the optimal training intensity. Foam rolling represents only one part of the fascial training concept. It is recommended to combine SMR with elastically oscillating movements and with slow, dynamic stretching exercises to stimulate adaptions in the human fascial body and to create an injury resistant and elastic fascial body. It seems to be useful to investigate the effects of FR in combination with abovementioned principles in further studies. 7. Who should use Foam Rolling and SMR? This article reads like pseudoscience and has no links to peer-reviewed research to back up its claims. 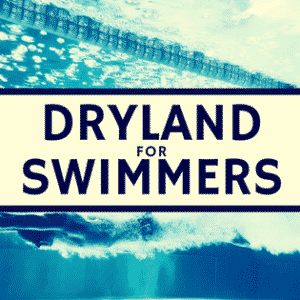 The evidence mentioned (but not cited) by the author doesn’t seem to demonstrate any actual proven benefit to swimming so it’s all extrapolation and supposition. Great comment! I’ve added Daniel Junker’s research his opinion is likely based off (https://www.ncbi.nlm.nih.gov/pubmed/25992660). These interviews are mainly expert opinion, based on their research (a variety of different evidence values) and their opinion (a lower level of evidence).